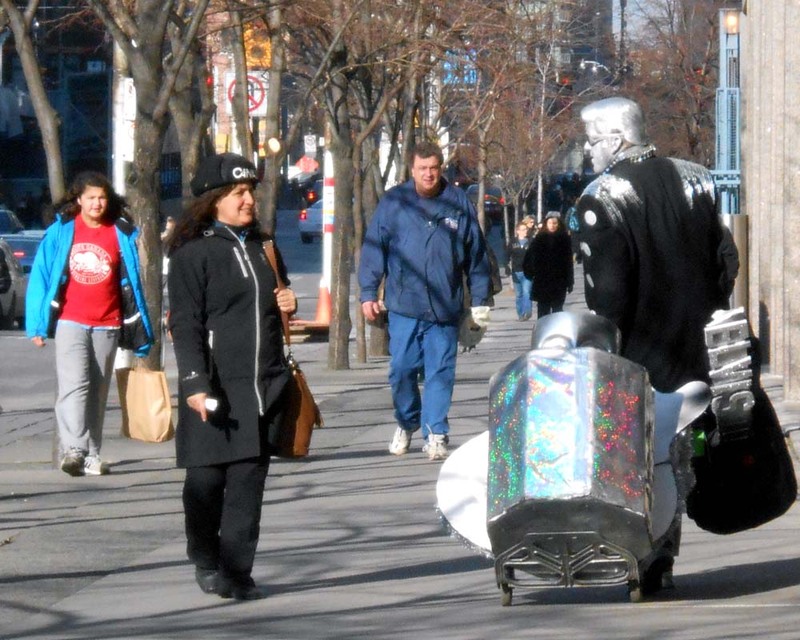 Okay, Silver Elvis isn't gone, or left the building, instead he heads out to busker central - the #Toronto Eaton Centre. On the way he pulls his portable stage and accouterments like his shiny Elvis sign. 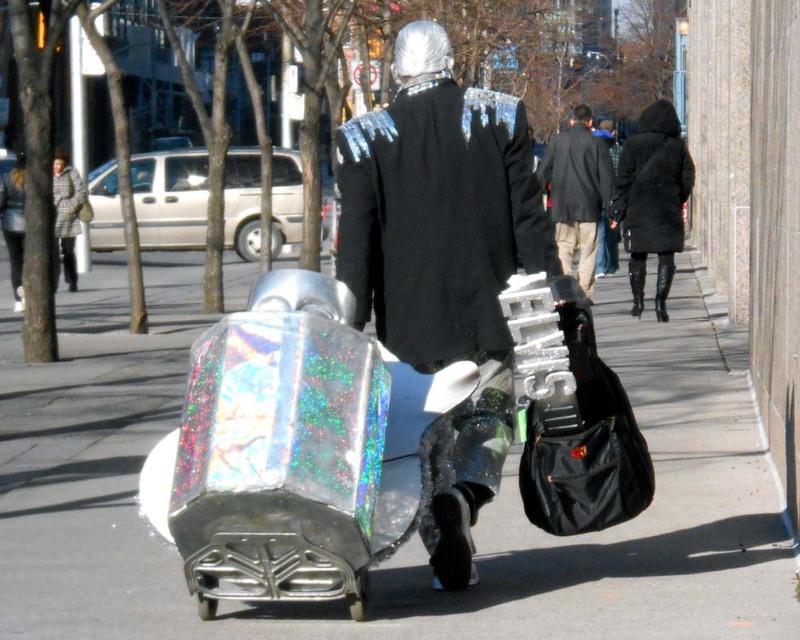 Someone stops to say hi to him - it might have been Priscilla.